Traditional farmer’s markets usually run from early spring to late fall, but there’s a growing trend popping up in cities across the country: the winter farmer’s market. Typically your local winter farmer’s market is held indoors, which means no matter the weather, you can still shop in comfort for your favorite offerings of the earth’s bounty. When strolling around your favorite farmer’s market during warmer months, you’re likely to find all sorts of bright, juicy fruits and beautiful growing plants. 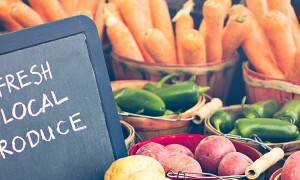 The purpose of a farmer’s market is to help connect local farmers and producers with the community, as a source of great seasonal offerings. Your winter farmer’s market likely won’t have the same options as the markets held in spring and summer. This is mainly because those fruits and vegetables aren’t being grown or harvested during colder months. Depending on the size of your market and where you live, it might not be possible to do all your grocery shopping at your neighborhood winter farmer’s market, but you should be able to check several items off your shopping list. 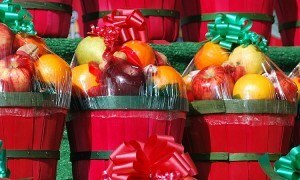 Winter farmer’s markets are a great opportunity think outside the box, with regard to the produce you buy. 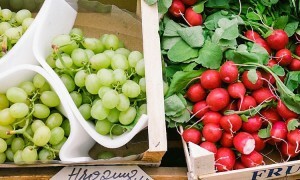 There you may come across different varieties of your favorite fruits and vegetables, or different options altogether. Take this as a chance to try something new! Never cooked with baby bok choy or purple potatoes? These are some delicious choices, and likely to be spotted at a winter farmer’s market. And make sure you talk to the farmers or sellers about their wares. They are likely to be a wealth of free information for you. For example, if you usually cook with cilantro in the spring and summer, ask the farmer to recommend another herb you might try when it isn’t available. Ask the farmer if he or she has a favorite way of preparing the veggies or a tip for making fruit last longer. This is your chance to talk directly with the expert about his or her produce. Whether you are a dedicated home cook or someone who just enjoys trying a new recipe every now and again, there are certain essentials that a well-stocked kitchen must have. Often a winter farmer’s market is a great place to find things like local honey, spices and jams or preserves. It never hurts to have these pantry staples on hand. Plus, you’ll feel great knowing you are supporting the livelihood of local growers and producers. Since these types of items are usually canned or dried, they have a longer shelf-life and will serve to be very useful for all your culinary creations until spring arrives. You might also see cut flowers or winter plants. Depending on the type, winter is often a good time for planting. Some farmers also sell or swap their seeds, especially heirloom varieties, so make the most of this opportunity to stock up for your spring and summer garden. Winter farmer’s markets are often more than just farm fresh produce and things grown in the ground. There will likely be offerings and wares for sale by local artisans and makers. From handcrafted jewelry and pottery to unique and one-of-a-kind art or woodworking, these selections make wonderful gifts for friends. Other items you might find include essential oils, handmade soaps and lotions, and natural cosmetics. Sellers will often allow you to sample their wares in order to see what you might like. These are just a few ways you can enjoy a winter farmer’s market in your neighborhood. Before too long, spring will arrive with all its blooming beauty. But until then, it’s nice to know there are still some fun things to do to make the most of winter. Kate Spears is a Knoxville writer and content marketing specialist who earned an M.S. in Communications from the University of Tennessee. She has, since 2012, worked as a social media manager with Coldwell Banker Wallace & Wallace, Realtors in East Tennessee.